Do they look much closer to you? (Not everybody can see it). 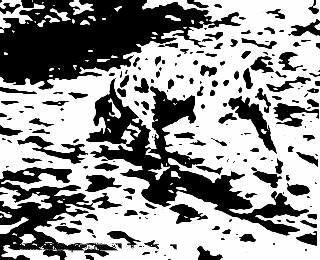 Do you see the dog? (in the middle of the the white lines) ? Well, they are not really there ! (in the middle of the the black lines) ? 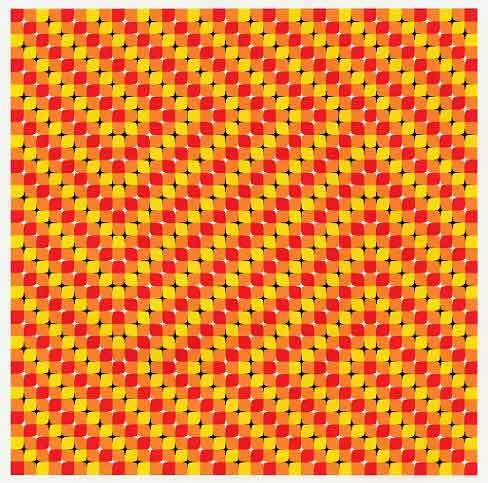 There is actually no movement in this image. 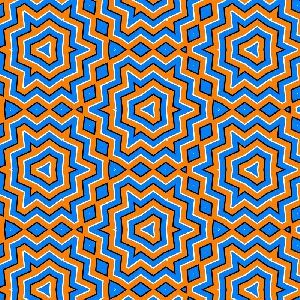 It moves because of the colors. head back and forth towards the monitor and away from it. 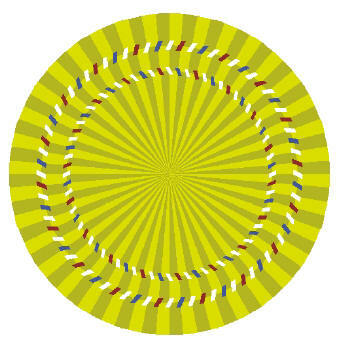 The circles appear to slide back and forth!